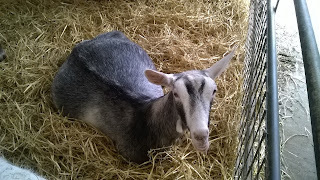 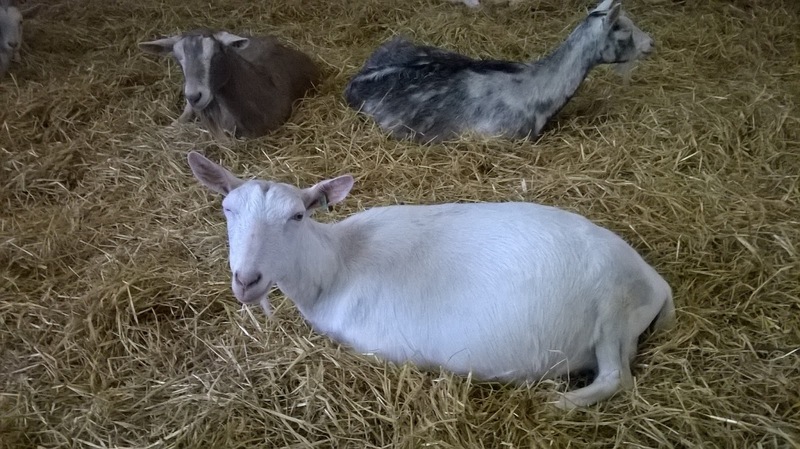 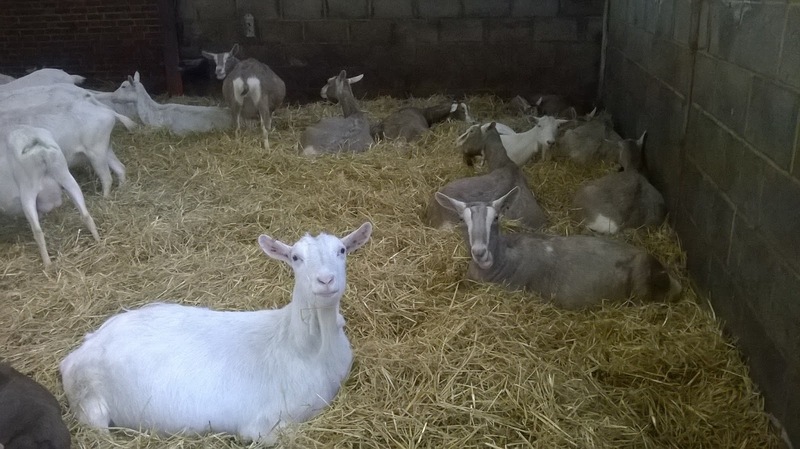 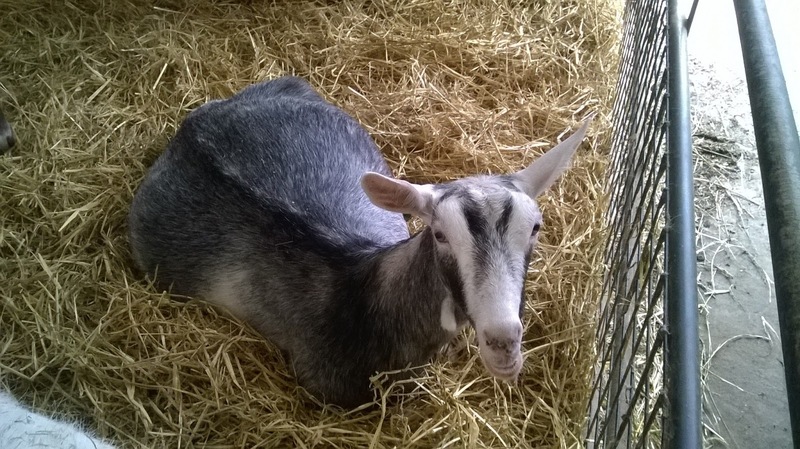 Ellie's Dairy - The Finest Goat Milk, from Kent: Hey Fatty Tum Tum! It's that time of year again .... fat, lazy goats just lying around waiting to have babies ..
Young Husky is particularly portly at the moment ..
Scanning is scheduled for next Monday so we will have a better idea how many babies are on the way! 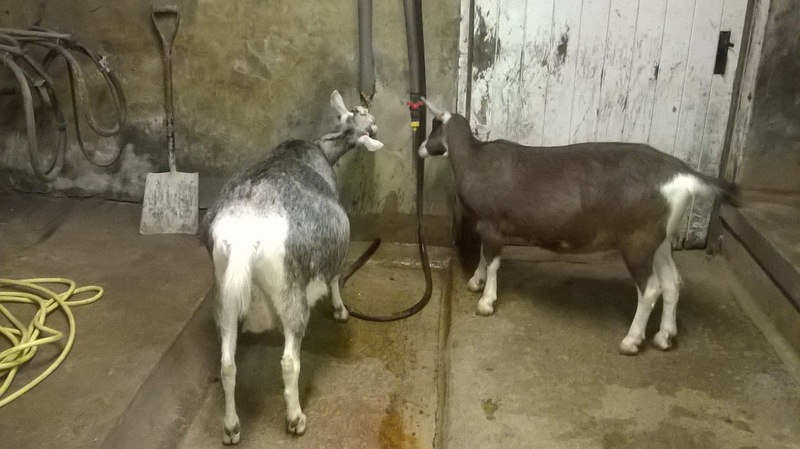 And it would seem that Hugo has a little friend. 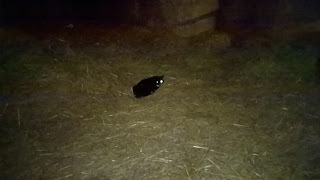 I have spotted it a couple of times snuggled up in the straw, sometimes inside Hugo's pen close to him. Tonight it was just the other side of the gate curled up in the straw .. You can just make it out in the darkness. A little black and white cat .. Everyone needs a friend, even big smelly chaps like Hugo!